If you would like to learn English and dance effectively and easily, visit her anytime. You can learn fun Ballroom dance plus speaking English when you go there. It is like killing two birds with one stone. 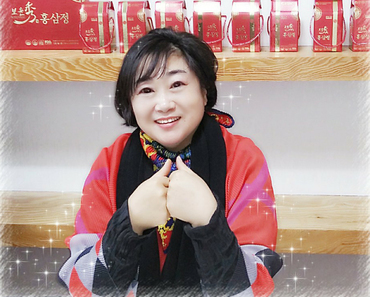 Chung Keum Sun(57) is the star that has created Korea's first class that teaches Ballroom dance and English called " International Englidance "
You can imagine what she is working towards without any words. The English teacher is crazy about dancing and teaching dance classes involving couples, ladies, college students, elementary students, government workers, at university street and gym. "This program is very natural and unique in character. it is a fun, easy, and effective method to reduce the stress on the students" according to her. She used to be a professor in a university. She lectured English and made the students perform English drama. She was more of a director than a professor because she believed that will be a more efficient way to teach English. Her goal was to give students the motivation as well as confidence. Her classes were very famous among the student body in those colleges . Just one semester after her class, the students were not afraid to communicate with a native speaker. In addition, she also holds a degree in musical play. One of her student commended, " The plays were memorable and the experience was special during the college years." Another student said "When we practiced plays in the classroom, we learned how to cooperate and be sociable with the classmates as well." She emphasized fluency over accuracy. She said" The first one made them happier, less stress which led to more effective teaching." So she wanted her students to volunteer and be spontaneous. She has traveled to the Western, Eastern, and European countries to research the methods of their English instructions. Her method is combination of all different things she learned. " A cramming system of education does more harm than natural education system. She realized that most of countries educate English in a natural environment, with daily spoken English. She noticed that other countries focused more on fluency than accuracy. She made the students perform English drama to improve their English and Dance. That is the "International Englidance Club" program. Through the dance lesson, the students have an opportunity to learn foreign culture in a natural environment. 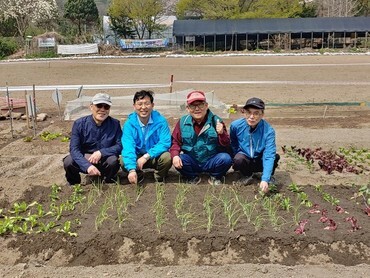 They maintain their health, they are fit mentally with music and physically; gain attractive shape by stretching and exercising. In addition a sense of achievement " Catch four birds with one stone". The best way to master English is to learn in daily life situations, but we all cannot communicate with Americans everyday. So she wanted to find proper place to speak English whenever someone wanted to practice. In china, there are parks to speak English with anyone who wants to speak. Young, old, male, female all alike go there to practice. She is proud of the "English & dance" program that she is instructing now. She says " This is like the parks in china." At these parks in china, people overcome the difficulties with case. They are not shy or afraid to make mistakes. They just speak English like they have known each other for a long time even though they have met for the first time. This practice first began with college students meeting to speak English. Now it has spread throughout the country. It is an economical and free way to learn. She explains that the Korean government has spent considerable money on English education. Native speakers are paid much more than Korean instructors when teaching English because they are though to be better than korean. Of course there are somewhat benefits, but it's not always effective. She states " I am sorry that Korean believes that all native speakers are better than Korean teachers." Most important thing in learning English is the motivation of the student and step by step systematic instructions. The government has tried English education in various ways. She thinks that we need to find an appropriate method to save money and effective. She also hopes that the government will find Koreans to teach English as well. 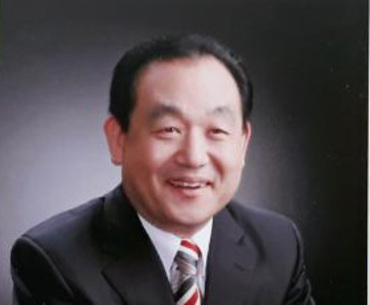 They must know how, when, and where to use these Korean teachers. She performed at the grand opening performance with three languages; English, Korean, and Chinese. She did this to start a movement which encourages citizens to speak English at MARONIE PARK. However it was very difficult. 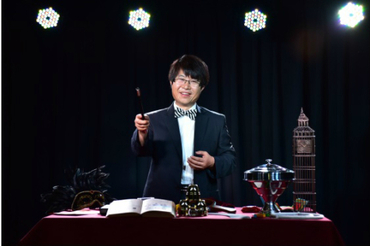 When a Korean is asked to speak English for practice, they are very reluctant and shy. She thinks that should be changed because English is the language now it is necessary to learn. "Since many foreigners can not speak Korean, we don't have to be shy." There are many people who are helping her out with the movement, but there are still many obstacles. She hopes to get help from others in the future. She is proud of what she is doing and thinks she is going to change the Korean social life in some aspects. She always talks about the benefits of " English & dance program". These include being social and ridding of homesickness for foreigners. Dance Sport is already famous in Korea and is considered as a National Sport. We expect Dane Sport will make its debut in Olympic Games and also be used as an entertainment in Korea. She has seen couples, families, children, old and the young alike, all appreciate the performance of Dance Sport at her English 7 dance performances. She sees the happiness when mothers dance with their children on stage and look proud of their children performing on stage. She defines dance as "a global communication with body to body, just like English". She says "Language should be learned with the learners affection. My program ' International Englidance' includes both English and Dance instructions in a natural setting". Through English & dance program, the students not only learn the language but the culture as well. We all know that learning the culture is just as important as learning the language itself. Through the stretches, the students can release the tension and feel comfortable before starting the activity. Participating in the dance reduces shyness, thus having self pride of public. Her students changed to an outgoing and brave people after performing drama over 20times. They have also gained leadership skills that they did not have before. 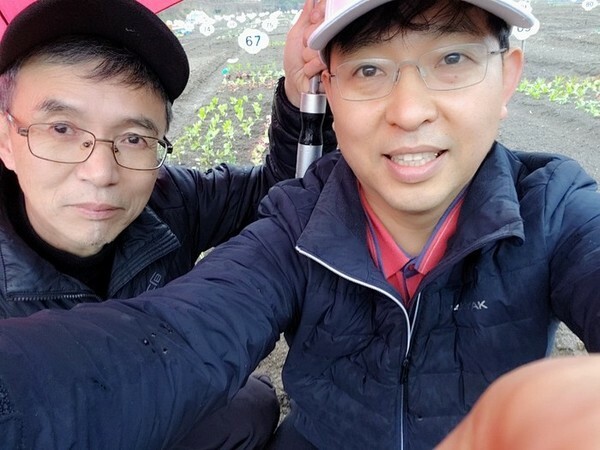 While her daughter was in high school, she wanted to set a good example to her daughter so she studied hard and got accepted into a college with her daughter where they became classmates. Ironically, her daughter became a assistant on Singapore Airline after graduation. But she continued her studies. Upon graduation, she received the certificate of Teaching English Speaker of Other Language[TESOL] from University of Maryland in Baltimore[UMB]. 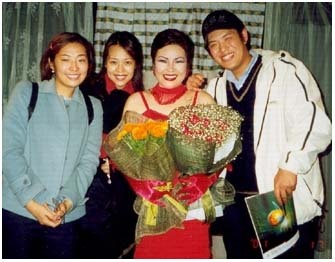 Afterwards, she completed musical and industry aimed for aged program. 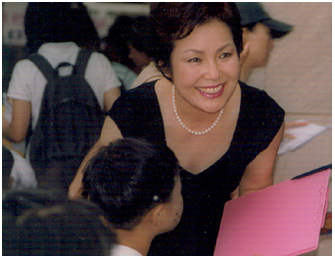 She has trained both elementary and middle school teachers, was a director at performance of English drama, and she also ran the research institute of English and Dance. She has experience in teaching all kind of students, from children to adults. She also tried the movement of speaking English at MRONIE PARK in UNIVERSITY STREET. She wanted to give the citizens to speak English naturally. Finally, she strives for the aspect of non-government diplomacy as well. Hopefully, she expects that others help her desire in the future. She is proud of what she is doing. She is going to devote Korean social life in some aspects for English & dance education. After 3years I met her in YONG SAN BASE at Collier Field House. She has changed a lot. She has become a professional instructor of International Dance Sports. She studied Musical, business aimed for aged program, applied linguistics from TESOL as well as that IDTA license;[ International Dance Teachers Association]; it is located in London. That means where ever she goes she is qualified to teach International Ballroom Dance on the world. She is prepared to get the second level of the IDTA licence. Her final goal is to be an International Dance Competition Judge. To be the International Judge, she needs to get two more levels; fellowship and an International Judge License. 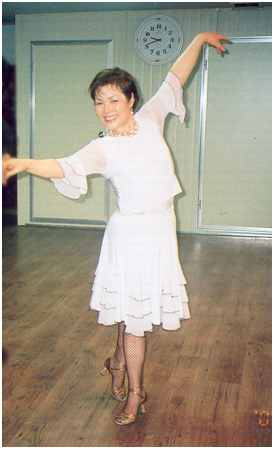 She is teaching International Ballroom Dance class at Yong San base and HAN NAM VILLAGE 5days a week. The participants are a big generation gaps; teen ages to sixties. There were about 13members; white foreigners, a black lady who looked twenties. The rest of them are Korean doctors. She thaught dance them in English for two hours. Her English was very fluent like American. She wore fantastic dance dress, showed up at the class and played music. They started dancing with fun and smile. academy and especially, Korean dancers at dance class. They have a chance to acquire English exploring a very natural language situation. She said " I have studied through my life. I'll spread my knowledge to world until I live in this world. "She was working as a volunteer for disabled person with dancing. She has two times a month dance therapy at national police hospital. She is supposed to participate the Korean Dance Therapy Association. She is planning to hold a special ballroom dance party. 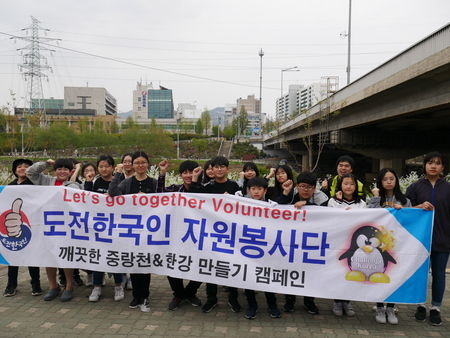 English speakers and Koreans can participate together. She expects somebody to donate the place for Englidance party. She has met many foreigners who want to join the ballroom dance party. She tried to take them to public clubs for dance party in Korea. But they couldn't enjoy themselves at the party. Because the dance styles and atmosphere are different between Korea and other countries. The dance style is to formal for foreigners and beginners to participate the dance party. They were just audience at the place. She was very sorry about that. Finally she realized that she is to be a host for a unique dance party for them. Now she has a plan to open the party regularly. She is very busy to prepare web site. Thought the web site she is going to give information for dance lessons and several types of dance parties also pre-register. She wants to live a non-government diplomacy. She always looks like twenties . Dancing is a common language all over the world communicating she said. She is excited to spread a sound Korean dance culture all over the world and also to work for Korean dance field. She is preparing IDTA international judge. And she has a plan to train instructor for English & Dance program.